Welcome to Wilhelmina Miniatures, fine handcrafted miniatures. 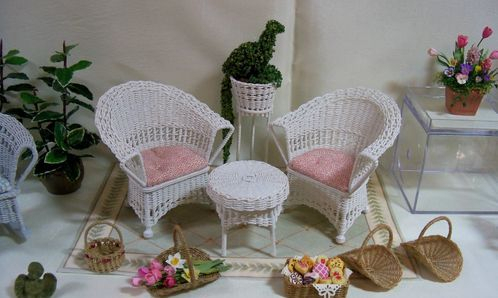 Here you will find 1" scale wicker furniture and accessories, plants, flowers and floral arrangements all hand crafted, one piece at a time, with care. The site will be having new items put in the albums from time to time so please come back again to see what new things have been added.